Good vs. Evil. It’s one of the most common themes in storytelling. Some of the greatest movies of all time are about the struggle between good and evil. In our modern world we have created these generic categories of good and evil – they are nebulous concepts, vague ideas of right and wrong. But the Bible does not see it that way. 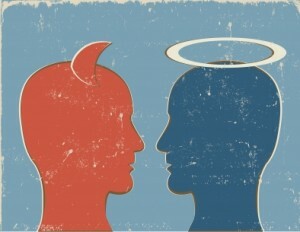 In the Bible, Good and Evil refer to concrete actions and behaviors. You behave in good ways or your behave in evil ways. The Apostle Paul begins Romans 12 by talking about the need to be transformed, to let God start making us into something new. Then, Paul tells us that our newly transformed selves are part of the bigger picture – the group of Christians we call “the body of believers.” In the rest of the chapter, the part I want to look at today, we see that the Apostle Paul is going to step it up a notch and talk about how we ought to behave towards each other. Let love be genuine. Abhor what is evil; hold fast to what is good. Love one another with brotherly affection. Outdo one another in showing honor. Do not be slothful in zeal, be fervent in spirit, serve the Lord. Rejoice in hope, be patient in tribulation, be constant in prayer. Contribute to the needs of the saints and seek to show hospitality. Bless those who persecute you; bless and do not curse them. Rejoice with those who rejoice, weep with those who weep. Live in harmony with one another. Do not be haughty, but associate with the lowly. Never be wise in your own sight. This passage is not simply a list of random behaviors that popped into Paul’s mind as he was writing this letter to the church in Rome. He is actually very intentional in his writing. This entire section is about how Christians are supposed to behave towards other Christians. He begins with a comment that sets the stage for all of Christian behavior: Love must be without hypocrisy. Remember, “Good” is not merely an ideal, some cosmic thought. In the Bible, “Good” refers to our actions and activities – our behavior. Love must be without hypocrisy means that the actions you take for the well-being of others cannot be fake. You must act genuinely for the benefit of others. This overarching concept governs all of the behavior mentioned in the rest of the passage. Let your behavior be characterized by love that is genuine and not false. Now Paul moves to the heart of his material, and he uses a technique that is not uncommon in the Bible. He bookends his content. The start and finish of his material uses similar lines. Verse 9: Detest evil; cling to what is good. Verse 21: Do not be conquered by evil, but conquer evil with good. Paul is not simply being repetitive. He didn’t forget that he already talked about good vs. evil. Think about bookends for a second. What is the real function of bookends? They prop up books and keep everything together. That is how Paul’s bookends function. The material in between the bookends is held together by this concept of good vs. evil. So we have the overarching guideline: Love must be without hypocrisy. Then we have the bookends: hold the good, run from the evil. When we see Paul’s structure we understand that he is saying, “How you treat each other is the good and the evil.” Treating each other well is the good. Not taking care of each other is the evil. They take off the bandages, the doctor exclaims, “No Change!”, she feels her face, and in disgust and horror she screams and pulls back. This is the emotion Paul has in mind. Shrink back from evil, but cling to what is good. Paul says, superglue yourselves to what is good! What is good? Good is behaving in positive ways for the well-being of others. What is evil? Evil is behaving poorly towards others. And then Paul gets into some specifics. He uses 20 different examples of ways Christians should behave as Christians. 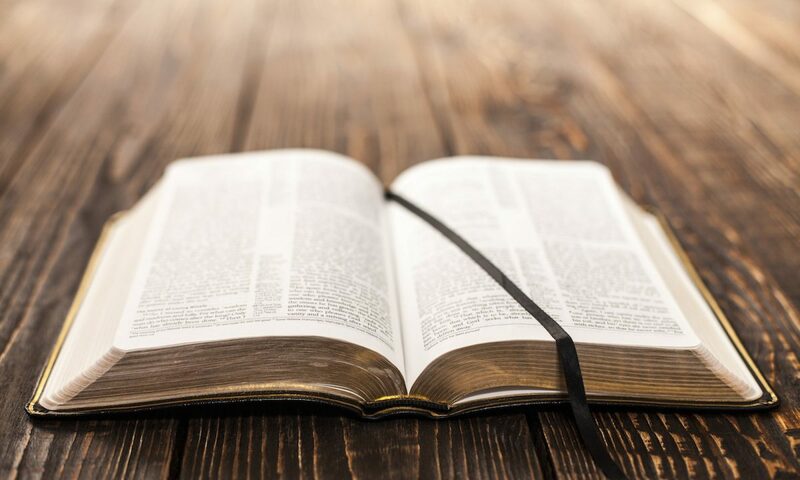 While we have read over them all, let’s look at three that I think Christians would do well to pick up on. 1. OUTDO ONE ANOTHER IN SHOWING HONOR. Honor is something we all like to have. The opposite of honor is shame. Shame is something none of us likes to have. Showing honor to others means putting them up on a pedestal. We will often do that for other people…up to a point. Sometimes we will honor a person up to the point where their honor does not take away from our honor. As soon as they start to overshadow us, we pull back on showing honor. We want to honor people, but not too much. We don’t want them to think too highly of themselves or forget their place. If I keep honoring him, I could be overlooked! Or think about the reverse side -shame. If I am shamed, I will try to put shame on someone else to overshadow my shame. The whole thing is about “one-upping” other people. We like to keep ourselves on an even field – they can have honor as long as I can too. I will make sure that their level of shame is at least equal to or greater than my own. It seems that we fear promoting other people and singing their praises if it detracts from our own image. It’s something of a competition. But that’s not the way we ought to behave. Paul says, “Okay, you want to compete? Compete in trying to outdo each other in giving honor! Who can honor other people the most?” Think about the people in your life. In your family. In your church. When was the last time you really went all out to show honor or promote someone else? In his letter to the Philippians, Paul writes: “Do nothing out of rivalry or conceit, but in humility consider others as more important than yourselves.” Yikes! That’s a tough pill to swallow. Prop up others ahead of yourself. 2. BLESS THOSE WHO PERSECUTE YOU – BLESS AND DO NOT CURSE. Paul continues to keep telling us to do the difficult things! We like to try to weasel out of this one. We set up villains in our minds – villains from the secular world. When a group attacks or insults Christianity, we cling to this verse. It is more and more common for non-Christians to attack the church as a hate group or anti-this and that. I have three responses. First, we do not hate anyone. We firmly believe that God cares for all people and that we are supposed to care for all people. Second, it is not hate or prejudice to hold people accountable to biblical behavior – it is personal, spiritual conviction. Third, and this is the kicker, Paul is not talking about situations where non-Christians insult or attack us. He is talking about situations where we come into conflict with other Christians – when we feel attacked and persecuted by other God-fearing people. This passage is filled with words like “brotherly-love,” “one another,” and “the saints.” He’s talking about our relationships with each other. When we feel wronged and mistreated by other Christians our response needs to be blessing and not cursing. What do those words even mean? They mean that, when we are mistreated and wronged by people in the church, we should be wishing and praying for good things for them and not hoping that bad things happen to them. Think about the last time you felt mistreated by a Christian. Was your initial thought to pray that good things would happen for him? Or did you secretly hope he would fail and come to ruin? Pray and hope for success and good things for the people that wrong you. 3. BE AGREEABLE WITH ONE ANOTHER. Paul is not telling us that we have to have the same perspective on everything. We don’t have to like the same music, the same movies, the same foods, the same books…. He is not telling us that we have to become part of the collective, having hive-mentality and groupthink. The fundamental call here is to moving in the same direction, a common purpose, goal, and unity. As Christians, there is more that unites us than there is that divides us. Too often we focus on the division and fail to be in agreement, to be united in a common purpose and goal. Too many of us embrace being cantankerous Christians. Young people, cantankerous is an older word that means difficult or argumentative. Forget all of the peripherals – let’s focus on the big picture. In his second letter to the Corinthians, Paul writes that we are to be united in mind and to be at peace. How can we come together as a united group of people called by God for His purpose? We now come to the other bookend – Paul’s repetition of Good and Evil. Understanding that Good refers to activities for the well-being of others and Evil refers to behaving poorly. We read Paul’s words: Do not be conquered by evil, but conquer evil with good,” and understand that he tells us that how we treat people will determine if good triumphs over evil. Will you let evil win? Or will you behave in Christian love even when it isn’t deserved? Out of all of these examples, notice this: our behavior is not based on the actions of others. We are not called to act right when others act right. We are called to act right regardless of how others act. Show honor. Pray for good things to happen to people who mistreat you. Be united in common vision and goals. Don’t seek payback. Where do you find yourself lacking? Where does God need to work on you? It’s time to allow God to start changing us, our thinking, and our behavior. Don’t allow yourself to stay the same. Previous PostPrevious Are You Obsessed?